The New York Timesreports that E. Randall Wertz, the county registrar of voters in Montgomery County, Va., recently issued two outrageous and confusing (at best) press releases with regard to college student voter registration. The first of the official missives made several patently false claims: 1) the parents of students who register and vote locally cannot claim their children as dependents; 2) students registering to vote using a local college address risk losing scholarships; and 3) such students will no longer be eligible for coverage under their parent’s health and auto insurance. Coincidentally or otherwise, these official county notices went out in late August, in the midst of a highly successful voter-registration drive at Virginia Tech, the state’s largest university which boasts an enrollment of over 25,000 students (over 5,000 of whom are incoming freshmen). At that time Barack Obama supporters had registered thousands of students. Keep in mind that Virginia is a major swing state that in past years has been reliably Republican; however, this year Barack Obama has made significant inroads, claiming 64 percent to Hillary Clinton’s 35 percent in the state’s Democratic primary in February. Many political analysts even predict that Obama could actually win the state in November, which would effectively signal nothing less than a historic sea-change in the American electoral map. So, that is the backdrop of this grossly underreported controversy that is reminiscent of Jim Crow era electoral shenanigans. In response to the public outcry—and the civil rights lawyers—the Virginia State Board of Elections (VSBE) sought to “modify” and “clarify” the legal basis for the misleading communications disseminated by the Montgomery county registrar. What did they do, you ask? Amazingly, they have gone so far as to post on their website a “self-guided questionnaire”—that is not required, and some would even argue that it is not allowed, by law—to “assist” college students in determining their “legal” residency. This harkening back to the very same tactics that the High Court ruled illegal almost 30 years ago when the Waller County, Texas, registrar of voters, LeRoy Symm, routinely required the students of the HBCU Prairie View A&M University to complete a residency questionnaire that is almost identical to the one on the VSBE website today—in 2008. What does the Obama campaign have to say about this turn of events? Not much. According to the New York Times, Kevin Griffis, the campaign’s state spokesperson said “the release appeared to be a good-faith effort to convey state guidelines, not a politically motivated effort to stop voting by students.” Really? Good faith? This writer begs to differ. Obama should have a swarm of lawyers blanketing the state, serving notice that he will not sit back and allow Virginia to be the Florida or Ohio of 2008. They should begin by demanding that the VSBE immediately pull down its confusing and perhaps illegal questionnaire. They should also be monitoring Chesterfield County, Va., very carefully-the home of Virginia State University—where nine of 64 precincts ran out of ballots during the February Democratic primary, which has prompted an ongoing Justice Department investigation. These voting irregularities, among others across the nation, are currently being examined by the Senate Judiciary Committee, as detailed in a Richmond Times-Dispatch report from Sept. 10. But I digress. Here’s another pressing question: Whereis the Democratic National Committee (DNC)? Why are they not on the case in Virginia? Are they so afraid of being accused of “race-baiting” or playing the “race card” that they will not call a spade a spade? This is a clear violation of the voting rights of the students of Virginia Tech. I know it. You know it. The state of Virginia knows it. Barack Obama, the Harvard-trained esquire, knows it. According to the VSEB website, “even the homeless may register by using the site ‘where they lay their head at night.’” Are college students in Virginia not entitled to the same right? 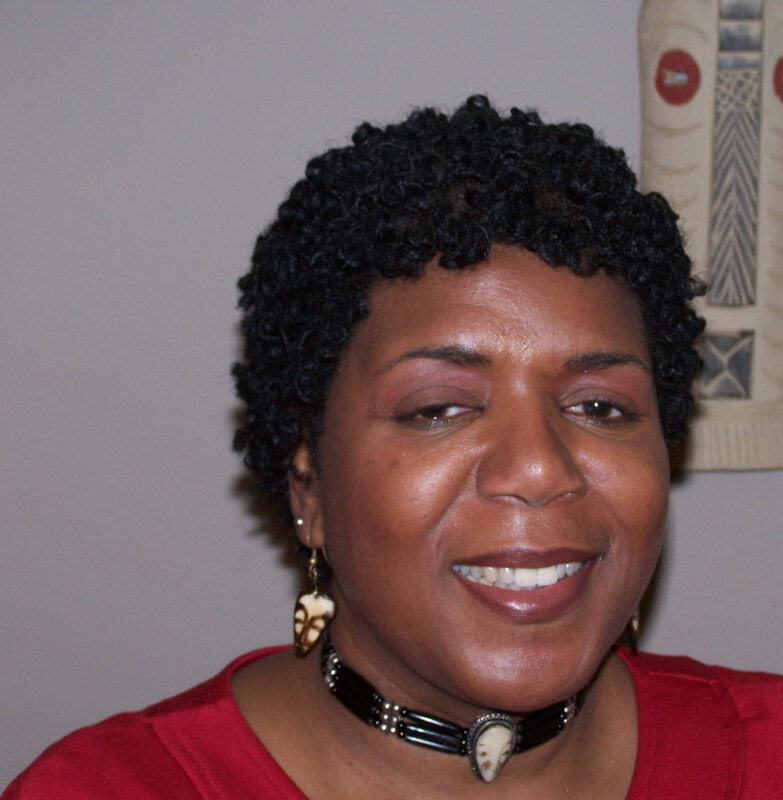 Dr. Pamela D. Reed is a diversity consultant, cultural critic, and assistant professor of English and African-American literature at Virginia State University. The chairman, it seems, knows his racial history and against this backdrop, he and the party plan to use the knowledge to revive Jim Crow. In the 1890s many Southern states employed an institutional approach to Black voter disenfranchisement. Among the most popular tools were: the grandfather clause which made clear that the right to vote did not apply to Blacks because in order to have this right one must have been a citizen or a descendant of a citizen who had the right to vote prior to 1866 or 1867. Of course, given the exclusion of Blacks from citizenship during this time, the grandfather clause was an effective disenfranchisement tool. The tool kit also included literacy tests of which there were many versions and where registrars of elections ensured that Blacks were given tests that they could never pass given the way the tests were designed. When it was learned that Blacks were being tutored by civil rights activists to pass the tests, state officials changed the test without notice to the test takers. States also utilized poll taxes that permitted any adult male, whose father or grandfather voted in a specific year prior to the abolition of slavery, to vote without having to pay the poll tax. Blacks could not vote without paying the poll tax because their fathers or grandfathers were legally excluded from voting prior to the abolition of slavery. The Democratic Party devised a system that ensured that the nomination of a candidate to a position was tantamount to an election. In an effort to exclude Blacks from elected office, the Democratic Party adopted a rule in several states that excluded Blacks from membership in the party and thus participation in the political process. The 15th Amendment which gave Black men the right to vote was not implicated because in theory the aforementioned tools theoretically applied equally to Blacks and Whites. However, in application, these tools were only used to disenfranchise Black voters. In an effort to ensure that Blacks and their sympathizers got the message that the color of their skin disqualified them from voting, purveyors of White supremacy ensured that the tools were enforced by lynching. Railroad companies sold tickets to the lynchings and Whites proudly attended some even taking photographs that they exchanged freely. A search of the archives of Jim Crow materials revealed whites posing with glee at the dismembered bodies of Blacks. In fact, many Whites brought their children to celebrate state-sanctioned violence against Blacks. Many of us believe that Jim Crow is no longer a way of life in America. The decision by the Republican Party in Macomb County reminds us that Jim Crow has returned on steroids. That is, whereas the old Jim Crow made no attempt to cover up its naked and virulent racism; the new Jim Crow tells us that this is not about race but about residency. In this case, the Republican Party knows that at the federal level, Congress has passed legislation to “help people stay in their homes.” In fact, John McCain has made this a central tenant of his campaign. Yet he has not denounced the efforts to revive Jim Crow and disenfranchise Blacks by the Republican Party. Like the Jim Crow era, the Republican Party in the “post-racial” era of 2008 will claim that it is not targeting Blacks since anyone including Whites who have been subject to foreclosure, if the party has its way, loses the right to vote. The reality is that more Blacks than Whites have subprime mortgages subject to foreclosure and thus, according to this plan, disenfranchisement. The Republican Party understands that it cannot use naked racial politics in this cycle with Sen. Barack Obama at the top of the Democratic ticket. However, it also realizes that it can resort to racial code by attempting to use Michigan law which allows challenges to voter qualification. By doing so, it can claim to be preventing voter fraud. Just like Whites in the Jim Crow era claimed to be protecting the white race from extinction by prohibiting interracial marriage and that because White people had bigger heads, they had bigger brains. Like the system devised by the Democratic Party at the time, the Republican Party has devised a system to disenfranchise Blacks from voting by claiming that being subject to foreclosure also means being subject to losing the right to vote. An objective analysis of the causes of many foreclosures reveals that many Blacks are the subject of foreclosure because banks and other lenders gave them loans that the banks knew were inappropriate in the first instance. Moreover, many people who face foreclosure are encouraged to seek refinancing, negotiate more favorable terms and stay in their homes. The “loss of residency” argument by the Republican Party is at best a specious one. Like the poll tax, the Republican Party requires that Blacks pay their unscrupulous lenders or lose the right to vote. Should Blacks who are renters and have been evicted from their homes face the same fate? Finally, the Republican Party seeks to strip Blacks of their right to vote not because they have committed a crime but because of financial hardship. The Grand Ole Party talks about its big tent. The Macomb County strategy reminds us that that big tent is undergirded by racism, skullduggery and Jim Crow principles. In December of 1898 the Richmond Times supported the move for disfranchisement in Virginia in the following words: “If we disfranchise the great body of Negroes, let us do so openly and above board and let there be an end of all sorts of jugglery.” In 2008, The Republican Party has taken up the charge. Dr. Christopher J. Metzler is Associate Dean at Georgetown University and author of a new book, The Construction and Rearticulation of Race in a “Post-racial” America (2008). The Obama Presidency in Peril?